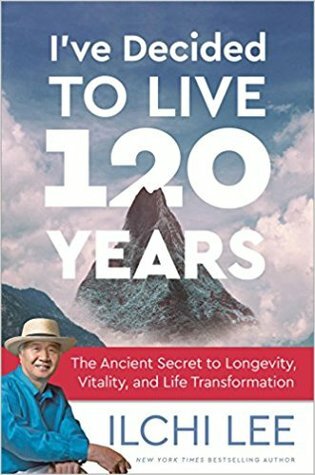 I’ve Decided to Live 120 Years: The Ancient Secret to Longevity, Vitality, and Life Transformation by Ilchi Lee was published December 4th 2017 by Best Life Media. 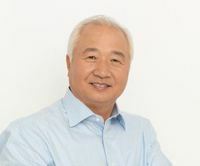 Synopsis: A New York Times bestselling author and one of the most renowned meditation teachers in our time, Ilchi Lee challenges you to radically rethink your ideas on aging, health, personal fulfillment, and what’s possible in your lifetime.For most of our lives, we work hard, reaching for success, until we are faced with retirement. If you retire at age 65, you may think you have about 20 more years to relax and enjoy your life. But what if you had more time? What if you had another 40 or 50 years to live? Would it make a difference in how you lived? The inspiration and practical advice you find in this book propels you to make the necessary changes in your life that would make a 120-year life full of vitality, passion, and purpose possible. From the author: From a young age, I struggled to find the answers to what I think of are life’s fundamental questions: Who am I? and Why am I alive? I found those answers for myself after much study and circumspection, culminating in strict fasting and meditation on top of Moak Mountain in South Korea more than 30 years ago. What I discovered opened up a new life and a new world for me. Since then, I’ve sought to find ways to help others answer those questions for themselves, and live healthier, happier, and more fulfilling lives as a result. All of my work is focused on developing methods for this and sharing them with as many people as possible. I believe when enough people know their true nature and purpose and are empowered to live by it, the world will become a place of dreams; heaven will be expressed on earth. This is the purpose and content of all of my books. I hope they enrich your life by reading them.